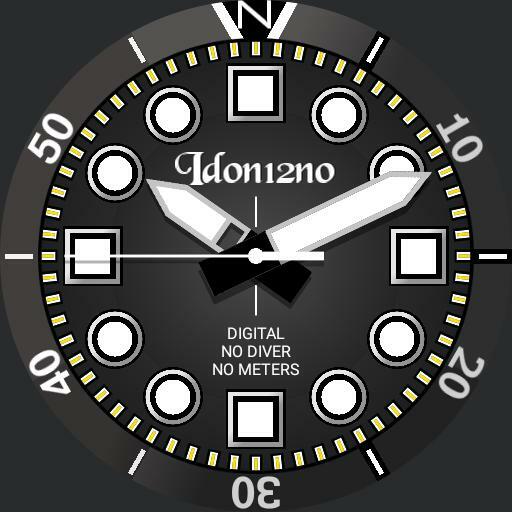 Diver style watch, 12 hour clock. Tap center to unlock screen. Agenda at 3.